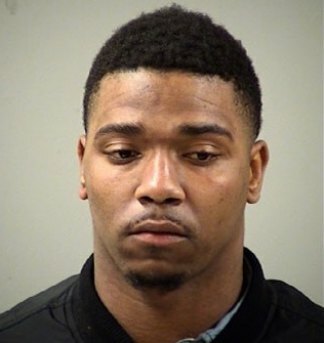 Early Thursday morning Trevone Boykin was involved in altercation with alleged hecklers at Pat O’ Breins bar in San Antonio and was charged with a felony assault of a San Antonio Police officer. The heisman finalist was immediately suspended from Saturday’s Alamobowl game. TCU head coach Patterson spoke to the media Friday morning at a joint news conference with Oregon coach Mark Helfrich. Early this morning Boykin’s shared an apologetic message via Twitter. The game went from a potential bowl game classic to what could be a dominant Oregon victory. Nevertheless, Oregon’s defensive coordinator Don Pellum will have the same approach this Saturday against TCU because he understands the Horned Frogs possess several lethal weapons on offense. Safety Charles Nelson followed his coordinator’s statement with a similar answer. Boykin’s absence was felt in TCU’s 23-17 victory against the Kansas Jayhawks who ended the season 0-12. The Horned Frogs offense put up 44.8 points per game this season with Boykin’s behind center as opposed to 26 points per game with out him. The numbers says that TCU’s offense can’t score without their heisman quarterback but Oregon’s no.116 ranked defense in the country gives them hope. The Ducks and Horned Frogs will square off at 5:45 p.m. this Saturday at the Alamodome.